Global haircare and male grooming expert Remington, has launched a dynamic digital, social, PR and shopper marketing campaign, Remington Legends. The campaign is aimed at engaging its male consumer base to demonstrate that with Remington at your side, you can be a legend every single day. The brand is investing £600k in the launch phase of the Remington Legends campaign and is set to reach 72% of men aged 18-40 in the UK across a five-month period. To bring the campaign to life, Legends will tap into what genuinely appeals to men in the UK and for the first phase of the campaign the focus will be on sport. From now until late Summer the campaign will creatively tie together a range of sports with shaving and grooming, focusing on Boxing, Horse Racing, Football and Tennis, amongst others. This sports-focused first phase of the campaign includes digital display, social engagement and a plethora of rich content, competitions and experiences supported by on and offline shopper marketing. 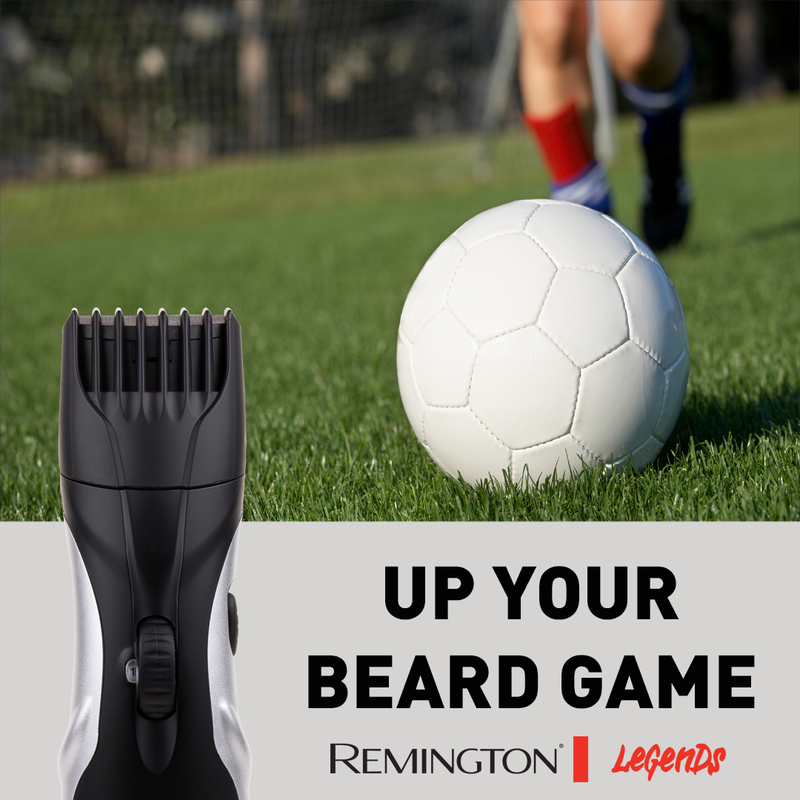 In addition to this, Remington will advertise at key sporting events including this Friday’s exciting pre-World Cup friendly between the Netherlands and England. The Legends hub on Remington.co.uk, Instagram (@Remingtonmenuk) and Facebook (@RemingtonMenUK) will host a variety of videos, tutorials and male styling inspiration to bring out the Legend in anyone who visits them. There will also be tips, tricks and legendary tales to inspire greatness and help men up their game. Remington has been helping men become Legends for over 80 years, having invented the first ever electric foil shaver, the Model E, in 1937. As a brand it continues to innovate, with the campaign showcasing its 2018 Legendary products, including the UK’s best-selling Beard Trimmer* ‘Barba’ and the Capture Cut foil shaver. Last year, the shave and groom categories combined were worth £157m in the UK alone and both the category & Remington are estimated to grow for 2018. Nicole Wedderburn, Brand Manager for Remington Men, adds: “Remington is proud to be the original male shave brand and we recently celebrated 80 years as an industry leader in electric shaving and grooming products. We’re really excited to launch a dedicated shave and groom marketing campaign this year – Remington Legends is the ultimate wingman for every man, on hand to deliver the right products and helping hand to achieve a legendary look. Last year, Remington celebrated the 80-year history of the brand, honoring the anniversary with its ‘80 Years Young’ campaign, a nod to not only the past but also future of the global shaving and haircare expert.